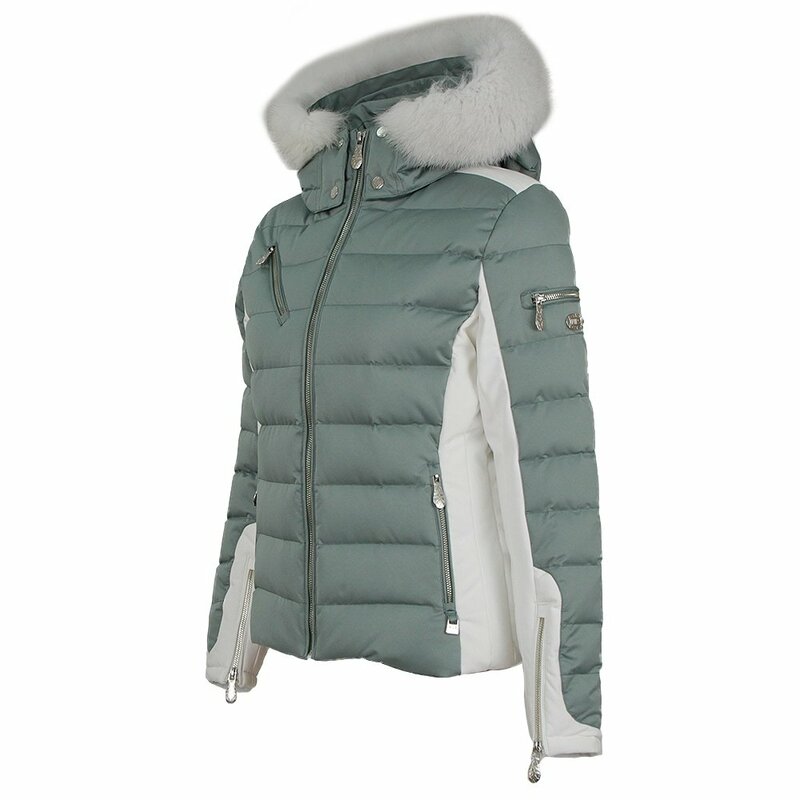 Ski in high-performance style with the elegant Nils Ula Down Ski Jacket. Stay warm with three layers of fabric, 600 fill power down insulation, and a form-fitting design meant to keep body heat in and snow out. Dedicated skiers will love the zippered sleeves, thumb loops, and google pocket. The Nils Ula Down Jacket also features custom silver details, a powder skirt, and a real raccoon fur lining on the hood for the ultimate in slopeside luxury. The real raccoon fur lining on the removable hood enhances a luxurious look. 600-fill power goose-down insulation on body and sleeves keeps your core and arms warm. Satin-like fabric and stretchable side panels provide a contrasting, flexible fit. "Does the jacket have vents?" "Thank you for inquiring. The Nils Ula Down Ski Jacket does not have vents. We hope this information helps! " Fast delivery and product was perfect! We saw other versions of this jacket when skiing. Nobody else seems to carry the white fur and it is very cute. Sizes run a little small. My normally size 2 daughter purchased a size 4 to be comfortable.